Discovering the theme of a story isn't the easiest thing in the world. It takes some inferring, some synthesizing, some determining importance, and a bit of analyzing the author's purpose, too. 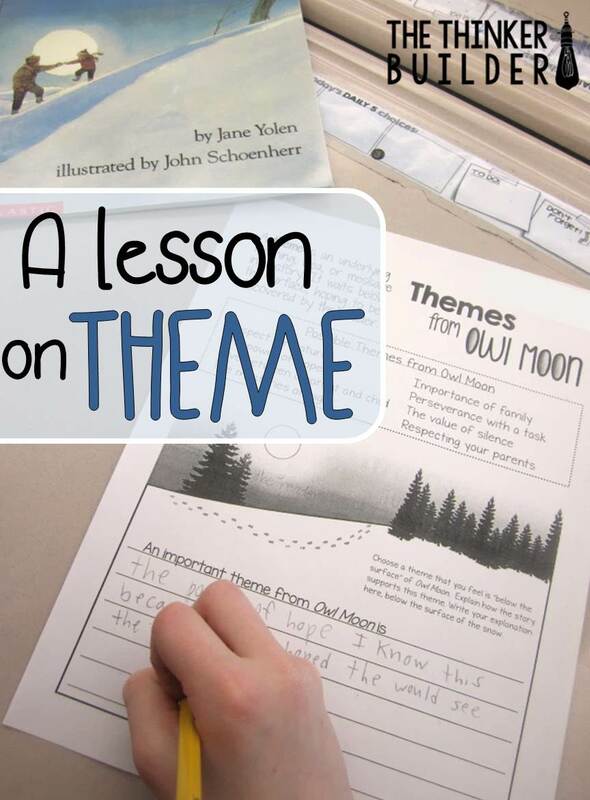 "Theme" was the theme of our reading work this week in third grade. What follows is our first lesson with theme. What does the author really want me to know? What is this story truly about? What ideas or lessons from the story are relevant to life, not just to this specific story? 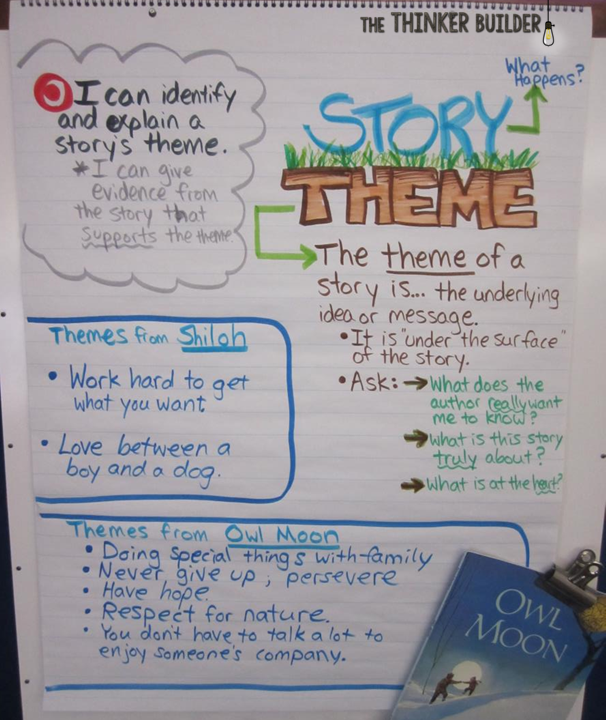 On the anchor chart, I also set up spaces to record some themes we'd be finding from two separate texts: Shiloh and Owl Moon. Shiloh was our first read aloud of the year. Since the whole class had a common understanding of the book, it made a good choice to model how to identify and explain a theme from the story. I had students help to recap the events of the story; then I asked them to scrape those events aside, dig down underneath, and think about what we find. What ideas and messages is the author really trying to show? I modeled three examples, telling students the theme and then asking them to share details from the story that support it. 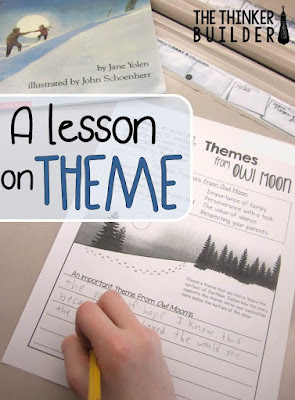 When I felt like students were starting to wrap their minds around the concept of theme, I then read Owl Moon aloud to the class. This was a second reading of the book. (We read it last week to look at figurative language.) I really drove home the purpose for this rereading: to identify the themes hiding under the surface of the story. Our discussion afterward still needed some guidance on my end, but once we identified a viable theme from the story together, using our key questions from the chart to keep us on track, I had students do a turn-and-talk to chat about the details from the story that would support the theme. 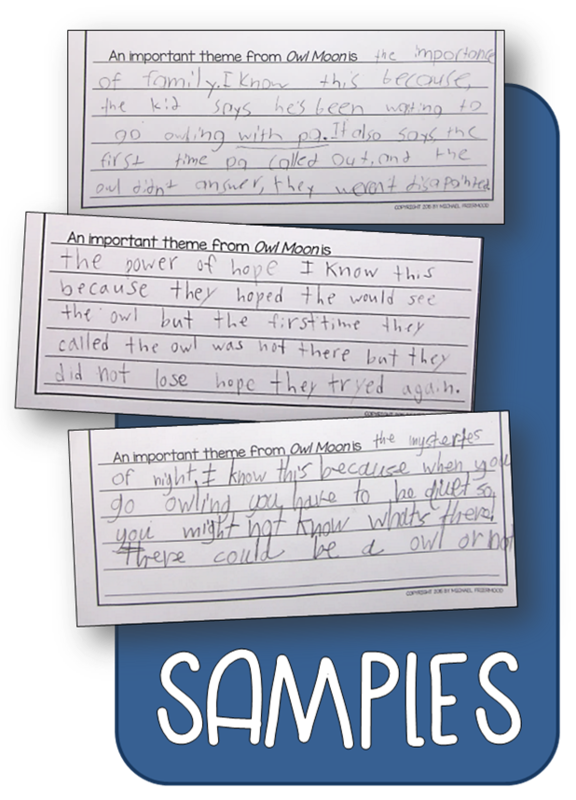 I then had students try responding in writing, choosing a theme from Owl Moon, and explaining how it is supported in the story. 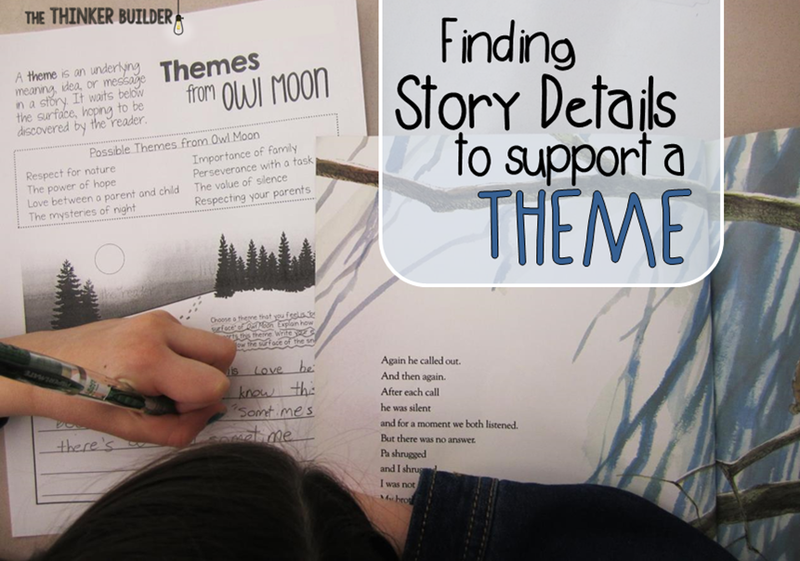 On the page students worked on was a box of possible themes from the story. If this wasn't such a new lesson for students, I probably would have eliminated the suggestion box and had them use a theme from the whole-group discussion. Here are a few examples of student responses. 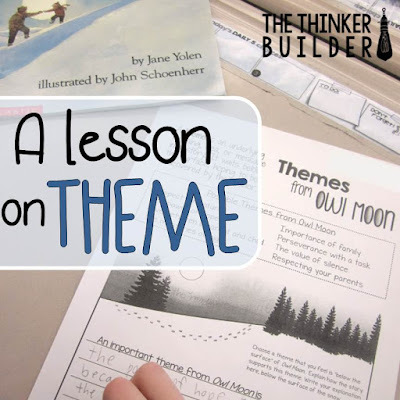 The printable I used comes from the "Discovering Themes" lesson that is part of my Owl Moon Literature Unit. You can download the entire theme lesson, with the printables, right HERE, for free! 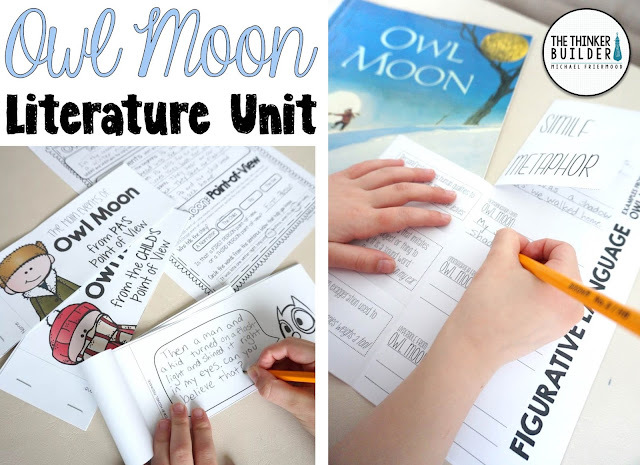 If you are interested in the entire unit for Owl Moon, which includes twelve reading lessons and eight writing lessons, you can take a closer look right HERE.